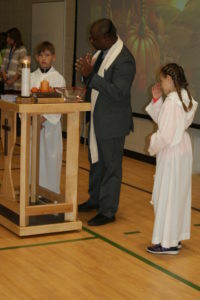 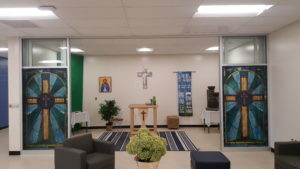 Greater Saskatoon Catholic Schools has significant expenses to support the faith formation of its 18,000 students. 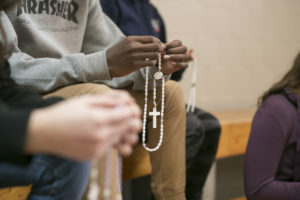 Priests and lay chaplains, religious education coordinators, sacred space in each of our schools, rosary clubs, and staff and student retreats are examples of these unfunded expenses. Supporting faith formation in our schools will ensure we remain faithful to our mission without compromising classroom resources. Thanks to the past generosity of Catholic school supporters, the Foundation was able to provide financial support to fully furnish the sacred space in each of the six new schools opened in 2017.